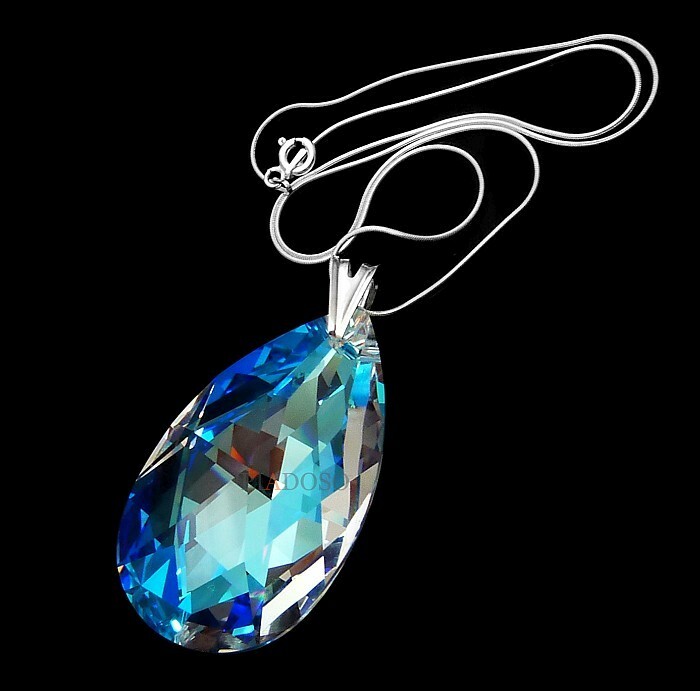 Beautiful silver necklace with gorgeours Swarovski crystal: Blue Aurora. 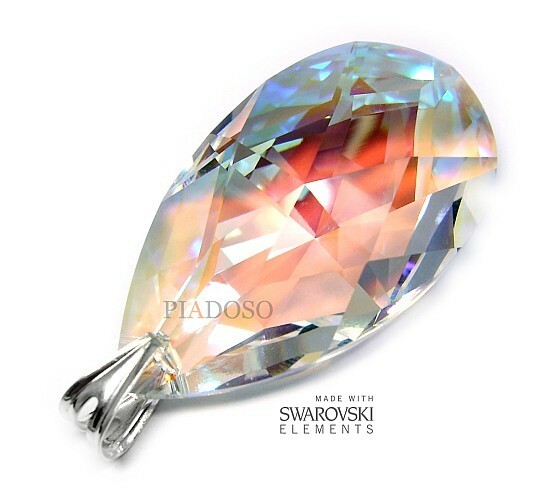 Original Swarovski crystals with unique sparkling. 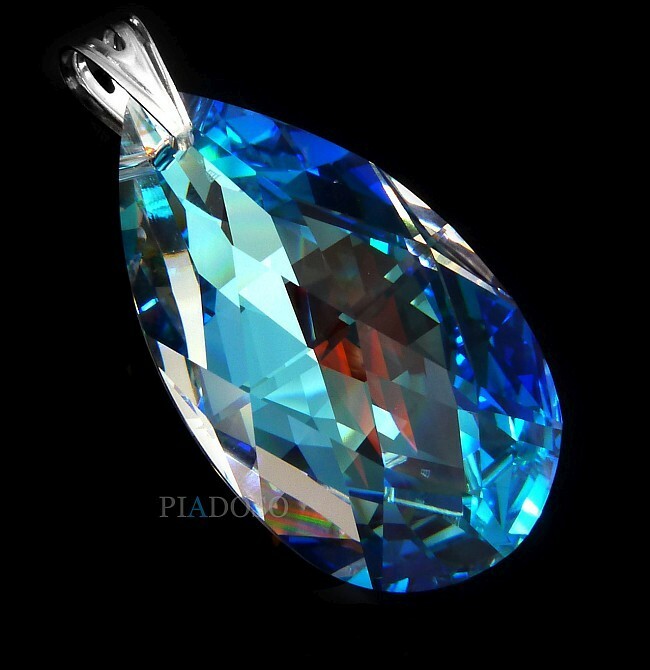 Color: Blue Aurora. 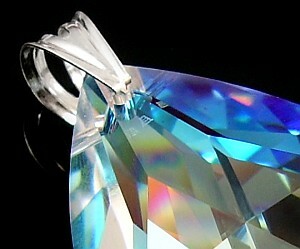 Each crystal has a hologram of authenticity. 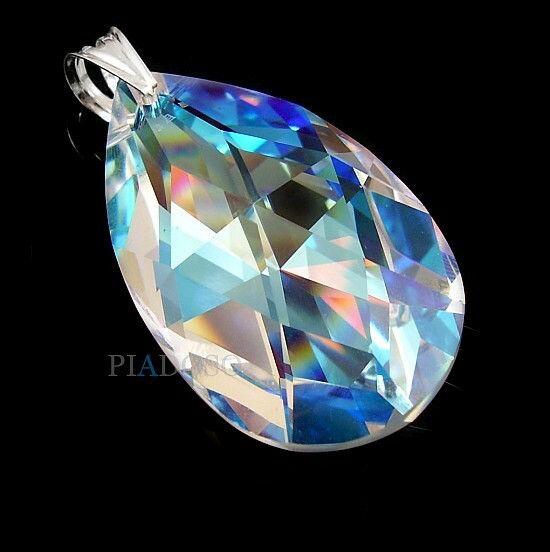 Crystals change their colors depending on the light and the background. Beautiful necklace with sterling silver chain.